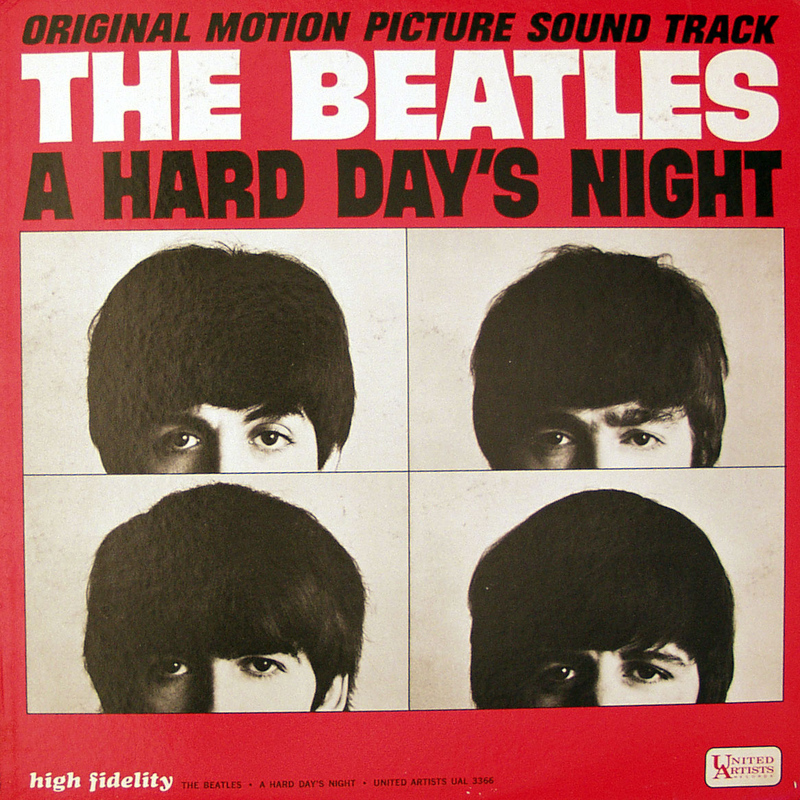 I seen videos and read discussions about the mysterious opening chord to a Hard Days Night. A friend emailed this audio track to me recently. This nails it! The speaker is Randy Bachman from his Canadian Broadcasting Company show called Vinyl Tap. He is discussing a conversation he had with Chris Martin who is the son of Beatles producer George Martin. 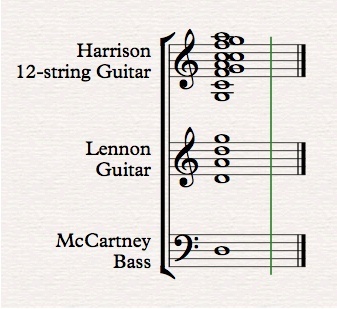 The explanation of THE chord is so simple, it make me wonder why no one figured it out before. Asian and Pacific Rim guitars are common place in these days. Squier, Epiphone, Yamaha, Washburn, Gretch and even Martin have developed relationships with Asian factories that turn out some of the lower cost instruments. 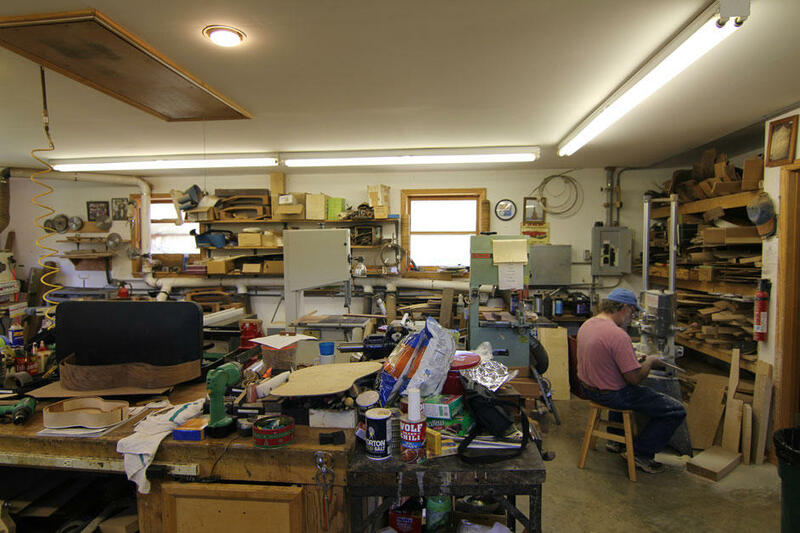 It may surprise you that many of these guitars are built of high quality tone woods, by superbly skilled craftsmen. The way I see it, as world trade becomes more robust, and the quality of guitars built internationally improves, the phrase “made in the USA”, will longer carries the weight it once did. A few weeks ago I heard a radio story about Blueberry Guitars. I was vaguely aware of these instruments. I had seen them online, but I knew nothing virtually about this company. The Blueberry saga began when Montreal native, Danny Fonfeder was on a business trip to Hong Kong. Fonfeder is the president of Buffalo-Eastcantra Inc., a school-supply company founded by his father and a partner in 1960. His company's customers include giants like Wal-Mart, Zellers, Jean Coutu and Costco. This business has a 70,000-square-foot warehouse in St. Laurent, but the Buffalo-Eastcantra factories are located in Asia. And this is where Fonfeder spends around 3 1/2 months of the year. It was in 2005 when he decided to take a week off from his business in Hong Kong and make a side trip to Bali. He forgot to pack his Martin guitar, leaving it at his hotel. While in Bali he searched shops for a guitar. All of the instruments he found were cheap and unplayable. He noticed a myriad of furniture shops that were selling beautiful and intricately hand-carved wooden furnitureand statuary. 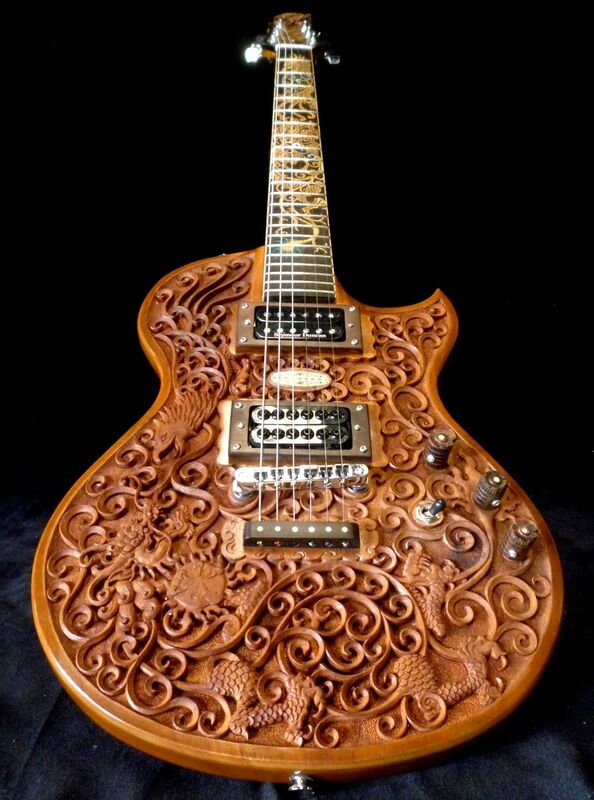 So Fonfeder bought a cheap guitar and took it to one of the shops and asked to carver if he could make the most beautiful hand carved guitar ever, decorating the body, neck, back and head. The carver that Fonfeder met in that shop was Mr. Wayan Tuges. In 1988 Wayan had attended an International Woodcarving Symposium held in Finland. Tuges was taught the art of carving by his father and grandfather. Balinese wood carving is a slow process, but at this symposium Tuges had just one week to finish a project that would be displayed. 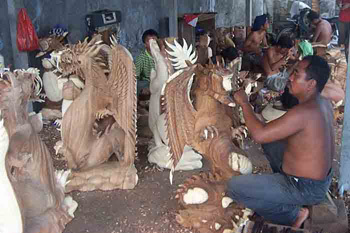 He chose to create a wooden statue of a Balinese witch. The judges and public were very impressed with his work. Mr. Tuges decided to leave the statue behind, due to its weight. 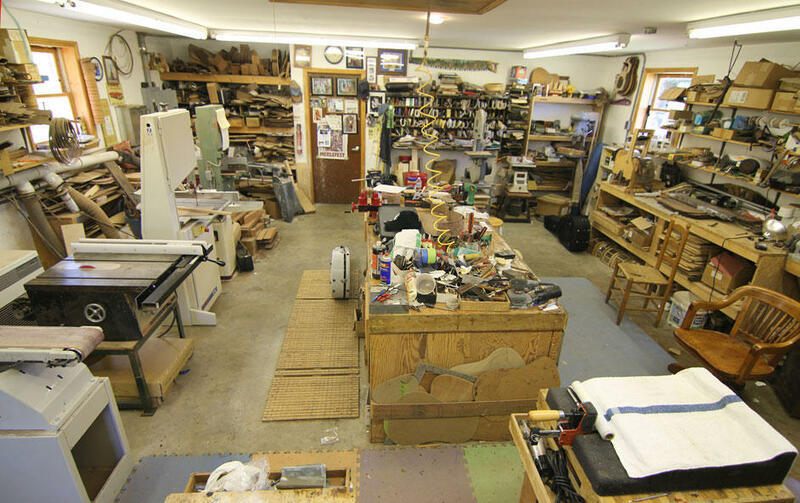 However, he made headlines all over Europe and became well known in the wood craft arts industry. So it was fortuitous that Danny Fonfeder happened by his shop. When Fonfeder returned to pick up his guitar, he was impressed with its design, but its sound was terrible. The instrument was made entirely of teak wood, which is not conducive as a tone wood. But all was not lost, because Fonfeder, at this time had he one of those eureka moments, that come along once in a blue moon. 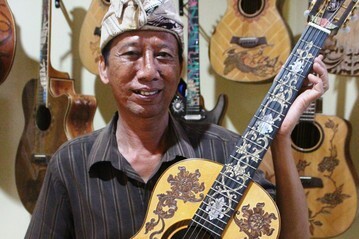 The thought occurred to him, "What if some Balinese wood carvers could receive professional training to become luthiers and make profession quality, great sounding guitars decorated with intricately carving work? 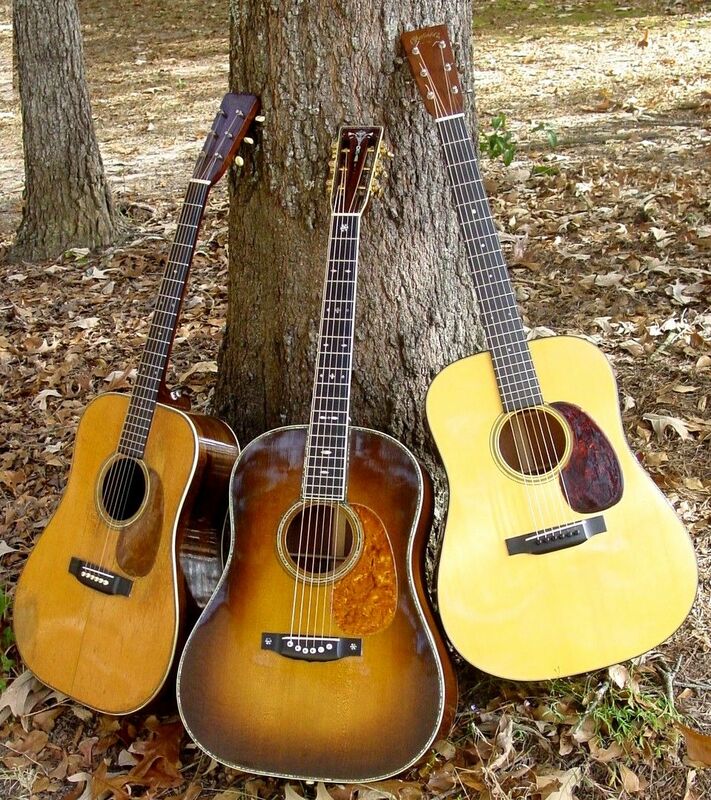 These guitars would be not only be beautiful, but desirable instruments." 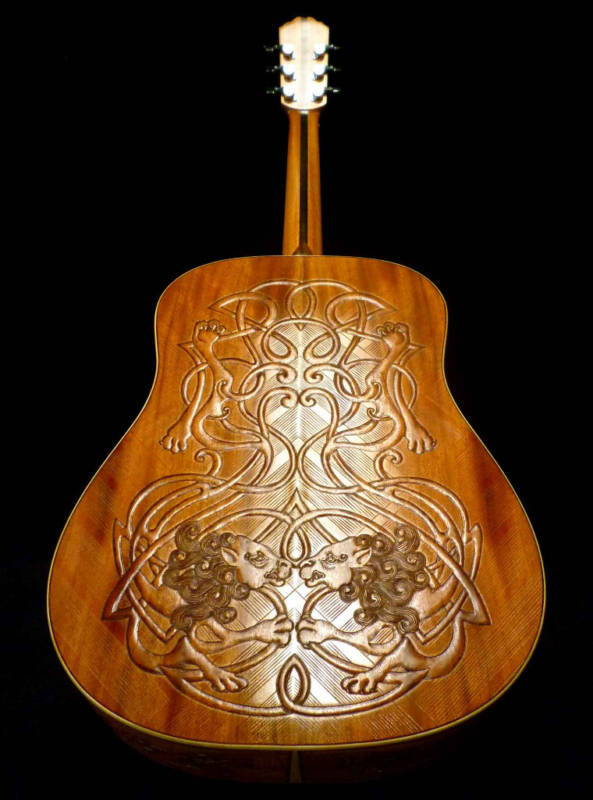 Fonfeder’s plan was to hire a Canadian luthier to go to Bali and train wood carvers in the art of luthery. Unfortunately he was unable to find a Canadian willing to take up the task. 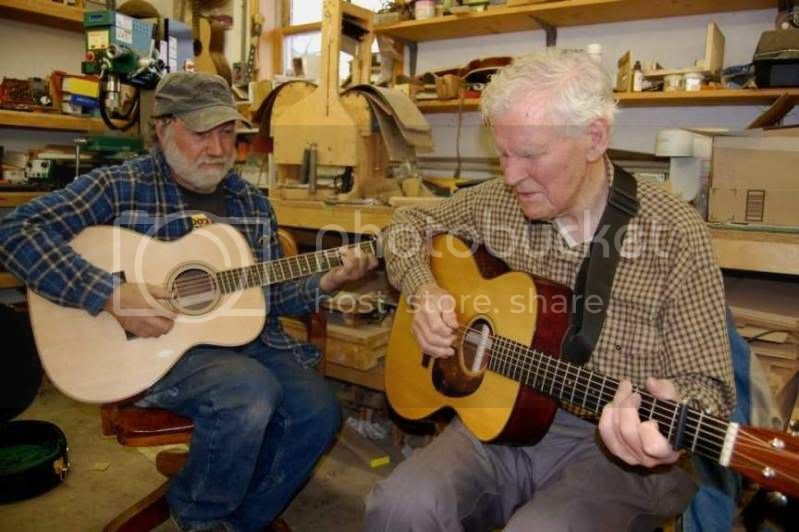 He then inquired with a member of the American Guild ofLuthiers, Vermont native Greg Morris. 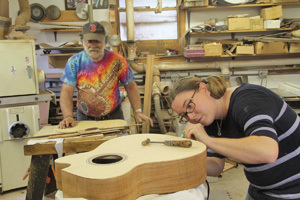 Morris has been instructing students in the art of guitar building for more than 30 years. Morris agreed to take the job. Greg Morris spent the next two years training local Bali citizens to build a guitar that not only looked great, but sounded great too. The first attempt was made using the typical tone woods, such as spruce, rosewood and mahogany, that were imported from North America,. However since the climate in Bali is much more humid than the climate in America and Europe. 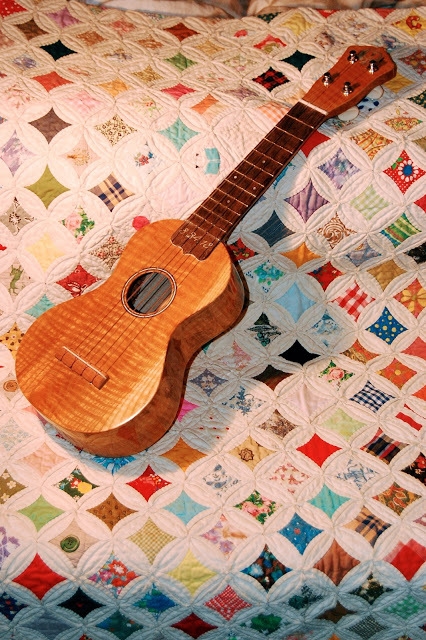 When these instruments were built and shipped to their destination, the guitars would develop cracks. Morris decided the solution to this problem was two fold. First kilns were set up at the Bali facility. The wood was dried in them for at least six months. The second plan was to use local woods, such as acacia. These solutions alleviated the issues. 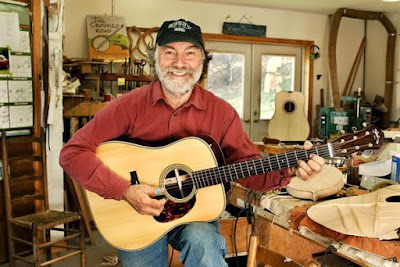 Watch the video below and you will see that some of the employees of Blueberry guitars work creating the guitars, while others carve those incredible designs and perform the complicated inlay work that makes these instruments works of art. It is fascinating. 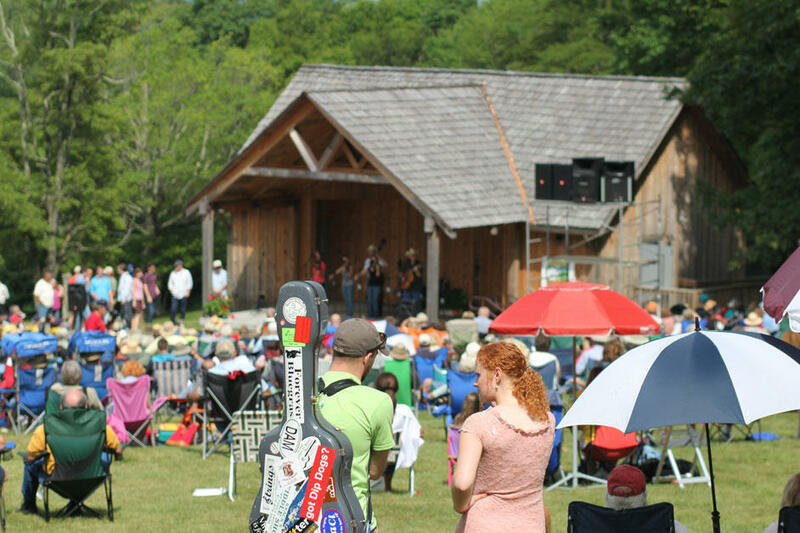 From all reviews that I have read, Blueberry Guitars have an excellent sound and are great players. 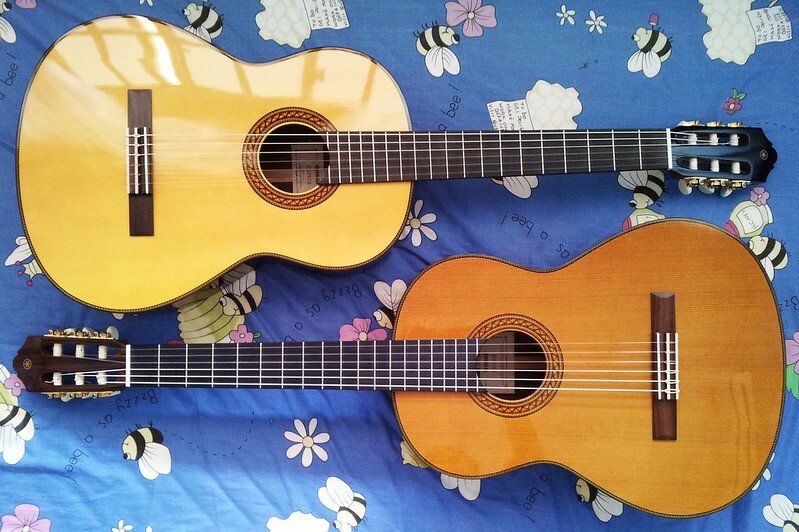 One reviewer compared their sound to Larrivee and Fox guitars. 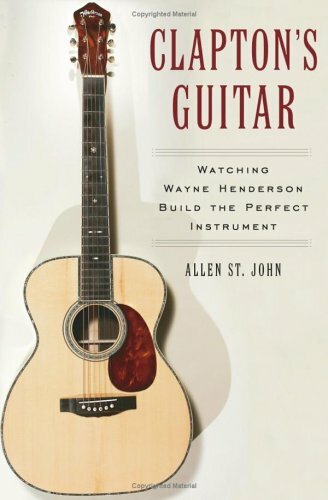 Some of these creations are uniquely built with a split top, using rosewood for the top covering the bottom three strings and spruce for the portion of the top that covers the tops strings, thus giving the bass strings a mellower sound while the top strings produce a brighter sound. Blueberry also offers triple wood tops. Incidentally, Danny Fonfeder named the company after his daughter, whose name is Blueberry. These guitars are priced similar to what you would pay for a mid-range Martin and probably less than a new Gibson instrument. 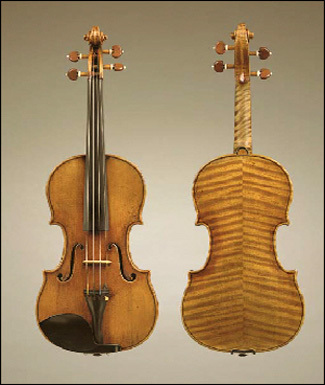 Most sell for $2500 to $3000 USD, but a very ornate instrument may cost considerably more. 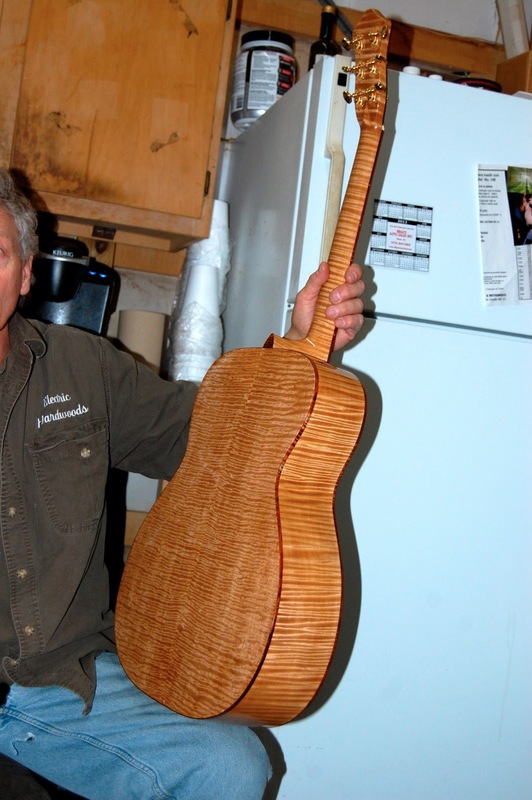 Blueberry Guitars are all handcrafted. Some of them have a 5 month delivery. 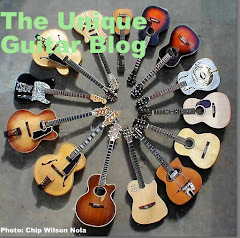 From what I gather, most of the guitars are sold directly from the manufacturer through their eBay store. There are but a few authorized dealers. They also hold an auction and a contest on their webpage. 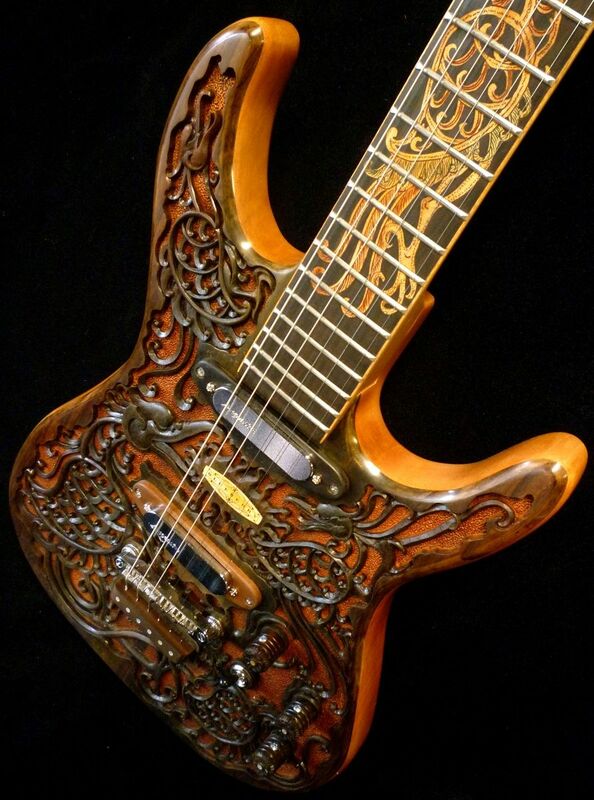 Blueberry makes not just acoustic guitars, but solidbody hand carved electric models as well. Blueberry guitars are perhaps the most incredibly beautiful and unique guitars that I have ever profiled. They would certainly make for an eye-catching instrument during a performance.